A three-member adjudication panel at the Nuclear Regulatory Commission (NRC) has rejected four contentions lodged by an anti-nuclear group that the Diablo Canyon nuclear power plant should not have its operating licenses extended for 20 years. San Luis Obispo Mothers for Peace argued at a hearing held at the NRC offices in Rockville, MD, on July 9 before an Atomic Safety and Licensing Board panel that the plant’s operator, Pacific Gas and Electric, misrepresented the impact of renewable energy sources in an analysis of energy sources. The group also said that the plant was not in compliance with safety mandates related to risks of floods and earthquakes. The Associated Press (AP) reports that two of the group’s contentions were that PG&E skewed an analysis of energy alternatives to ignore or reject renewable energy options that could replace Diablo Canyon. The group also asserted that the NRC has no justification for renewing the licenses in light of the plant’s greater environmental impacts compared to renewables. The group’s other two contentions were that PG&E has failed to comply with environmental laws requiring it to propose measures to lessen the impacts of Fukushima-like earthquakes and floods. AP also reported that attorneys for PG&E argued that the legal challenges were baseless because recent seismic analysis has shown the plant could safely shut down in an earthquake. They also argued that renewable power is too unreliable to replace Diablo Canyon, and that renewables also have environmental impacts such as the intensive use of land in large-scale solar operations. The two Westinghouse PWRs at Diablo Canyon began commercial operations in August 1985. The plant’s operating licenses expire in 2024 and 2025. Significantly, the plant’s owner, Pacific Gas and Electric, has not yet declared its intention to seek a license renewal according to the San Luis Obispo Tribune reported. One of the reasons is that state agencies, which must issue water quality and coastal zone permits required for the license, haven’t yet acted. PG&E attorneys have argued that the plant would shut down during an earthquake event. Furthermore, the risk of flood caused by a post-earthquake tsunami, the company says, does not compare with the Fukushima Daiichi nuclear power plant disaster from March 2011. The Fukushima Daiichi plant is situated 20 feet above sea level, while the Diablo Canyon plant is 85 feet above sea level, far out of reach of any predicted tsunami event. The company also argues that renewable power sources, such as wind and solar, are unpredictable base don prevailing weather. In addition, the huge tracts of land used to generate renewable energy presents a significant environmental impact. 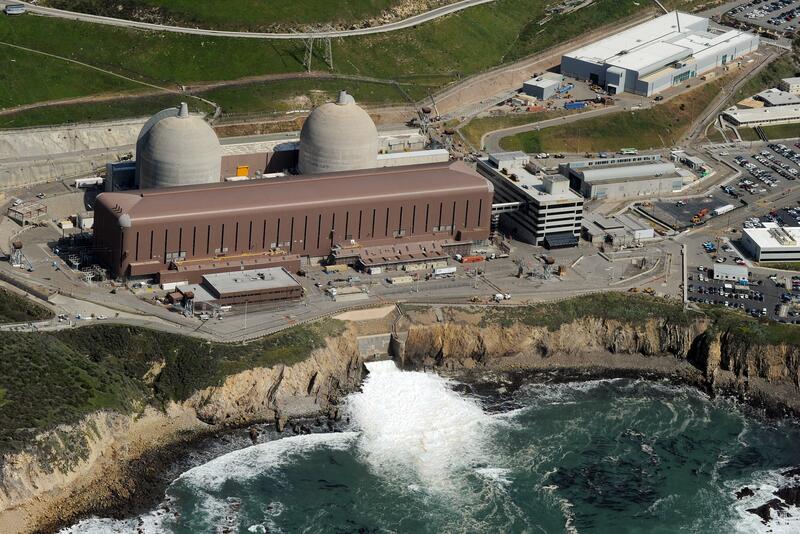 According to local news media reports, two solar power operations in San Luis Obispo County cover nine square miles and produce only one-ttenth of the power produced at Diablo Canyon.